European Commission President Jean-Claude Juncker has said it was not possible to reach agreement on Brexit negotiations today. 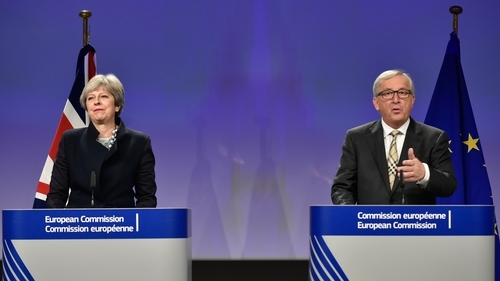 Mr Juncker was speaking in Brussels following a meeting with British Prime Minister Theresa May. He said that despite significant progress it was not possible to reach a complete deal and there are two or three open issues. However, Mr Juncker said this did not amount to a failure and he remains confident that significant progress can be reached before a summit scheduled to take place on 14 and 15 December. He added that the EU is ready to resume negotiations later this week. Mrs May said she is confident that the talks will have a positive conclusion. 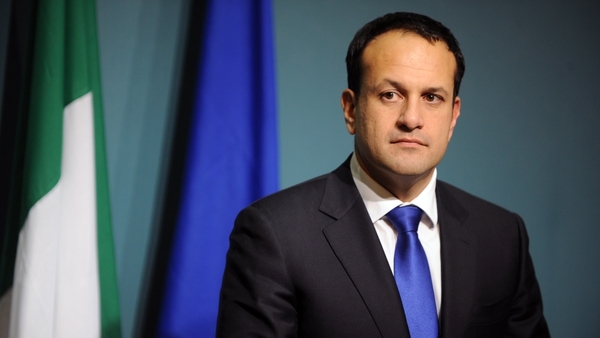 At a press conference, Taoiseach Leo Varadkar said that he was "surprised and disappointed" after the British government failed to reach an agreement in the talks. Mr Varadkar said the Irish position in the talks is unequivocal, and the EU has confirmed that their position reflects this - there can be no hard border between Ireland and the UK. He also said he hopes that an agreement can be concluded in the coming days. Earlier, a draft negotiating text seen by RTÉ News indicated the UK had conceded to EU negotiators that there will be no divergence of the rules covering the European Union single market and customs union on the island of Ireland post Brexit. The concession, if accepted by the Irish Government, would have far reaching implications for how closely Northern Ireland remains bound to EU structures. But it remains an open question if the final text will be agreeable to both the Irish and British governments. DUP leader Arlene Foster said that Northern Ireland must leave the EU on the same terms as the rest of the UK, and added that the DUP will not accept any regulatory divergence. She said the Government is seeking to "unilaterally change the Belfast Agreement without our consent". Ms Foster added that "the economic and constitutional integrity of the UK must not be compromised in any way." Mrs May spoke with Ms Foster following her statement. A DUP spokesperson said that the party stated their position on the border on island of Ireland, but are unclear whether that intervention prevented a deal being reached today. Mrs May is in Brussels seeking EU support to move on to the next phase of negotiations, including wider trade issues. She met with Mr Juncker and European Council President Donald Tusk, who has said if Britain does not come forward with an improved offer on withdrawal terms, he will be unable to recommend EU leaders give the green light for the second phase of negotiations to begin at their summit this month. He has also made it clear they cannot move on to phase two unless the UK can satisfy the Irish Government that there will be no return to a hard border. British, Irish and EU officials had worked throughout the weekend, following intense talks late last week that brought a possible solution into view. But by early this morning there was still no breakthrough. By mid-morning, RTÉ News had sight of a key phrase in the joint text. It said that in the absence of agreed solutions, the UK would ensure no divergence from those rules of the internal market and the customs union which supported North/South cooperation and the protection of the Good Friday Agreement. A later version of the text suggested there would be continuing regulatory alignment on both sides of the border, instead of no regulatory convergence. Theresa May's eagerly awaited lunch with Jean-Claude Juncker went on longer than expected - it is thought she spoke by phone to the DUP. Then both the Prime Minister and the President of the European Commission appeared for a statement. Both sides would meet later in the week, and the gap had narrowed, Mr Juncker said. But the deal that had seemed so close was off. It is unclear what the key sticking points are - it's back to the drawing board for British, Irish and EU officials. According to two well-placed sources, the text that negotiators have been working on intensively over the past five days spell out that the UK will agree that on either side of the border there would be no divergence on EU single market and customs union rules after Brexit. This has long been the Irish Government's preferred solution for avoiding a hard border. The text says that the UK has agreed that the Good Friday Agreement will be protected. The text on Ireland is part of an overall paper entitled The Joint Report from the Commission and the United Kingdom Negotiators on Progress. The paper covers all three issues of contention: the financial settlement, EU citizens rights, and the Irish border. It was one of around 100 paragraphs in all on the three issues, in a text which runs from four to five pages. It is understood the text on Ireland was updated to refer to "continued regulatory alignment" on the island of Ireland. DUP Brexit spokesman Sammy Wilson, whose party is effectively keeping Mrs May in Downing Street in a confidence and supply deal with the minority Tory government, warned her not to proceed with regulatory alignment. He said: "I think that this is emanating from the Irish Government, obviously, trying to push the UK government into a corner in the negotiations. "It is not well thought through. I don't think, given its promises, the British government could concede on this."